Every menu item can create a visual column. 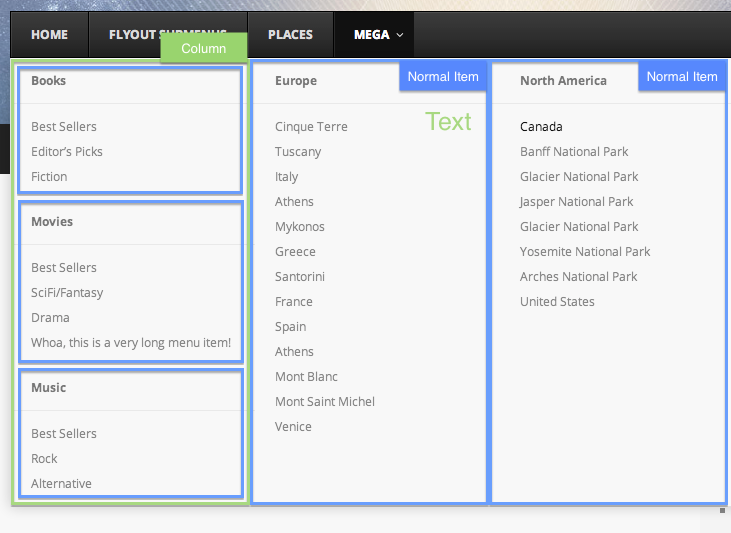 This special Column menu item is for wrapping multiple menu items within a single column, which provides more control over your layouts. 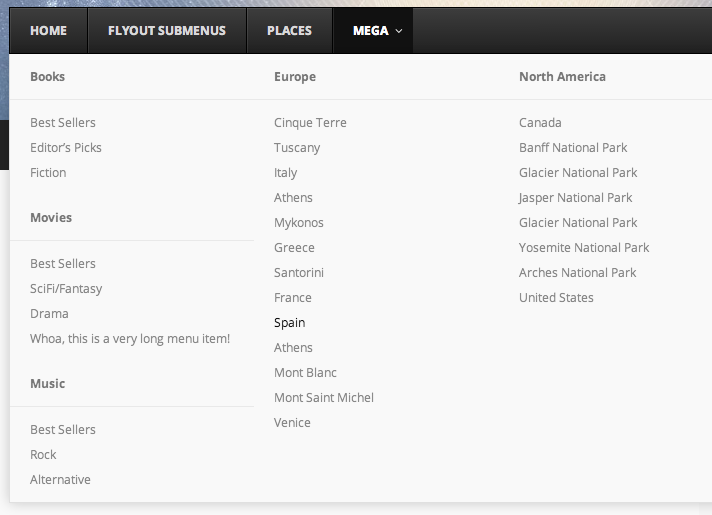 Think of it as a container in which to place additional menu item content. 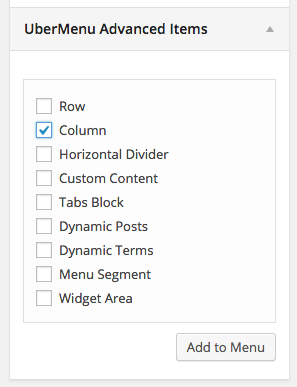 You would not need a Column item if the content of that column is a single item. Here’s an example layout, where a column is used to wrap the “Books”, “Movies”, and “Music” items in order to stack them in a single column.